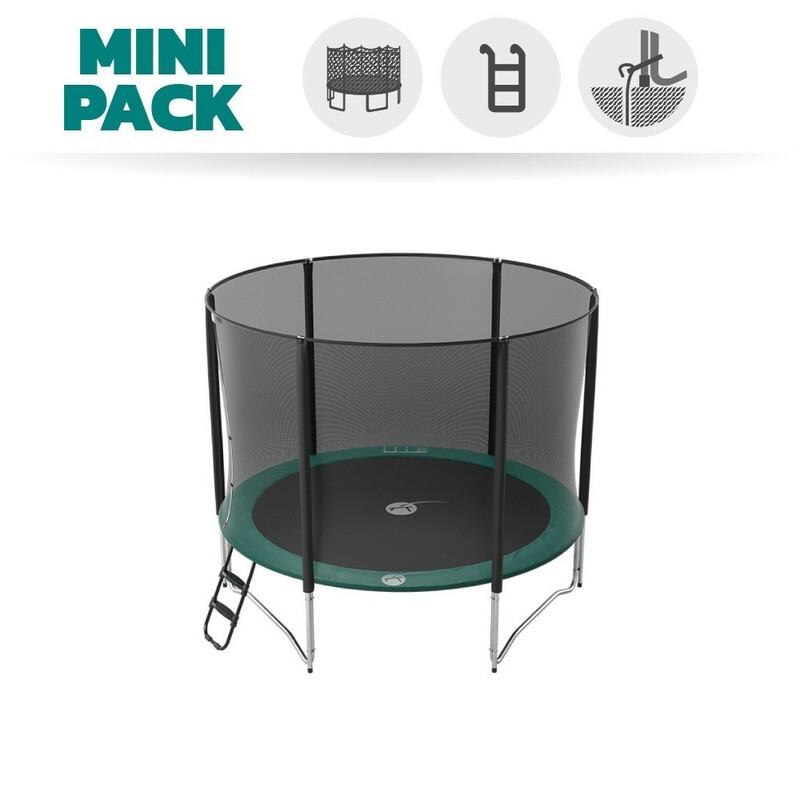 This basic packs includes the essentials for trampoline safely. 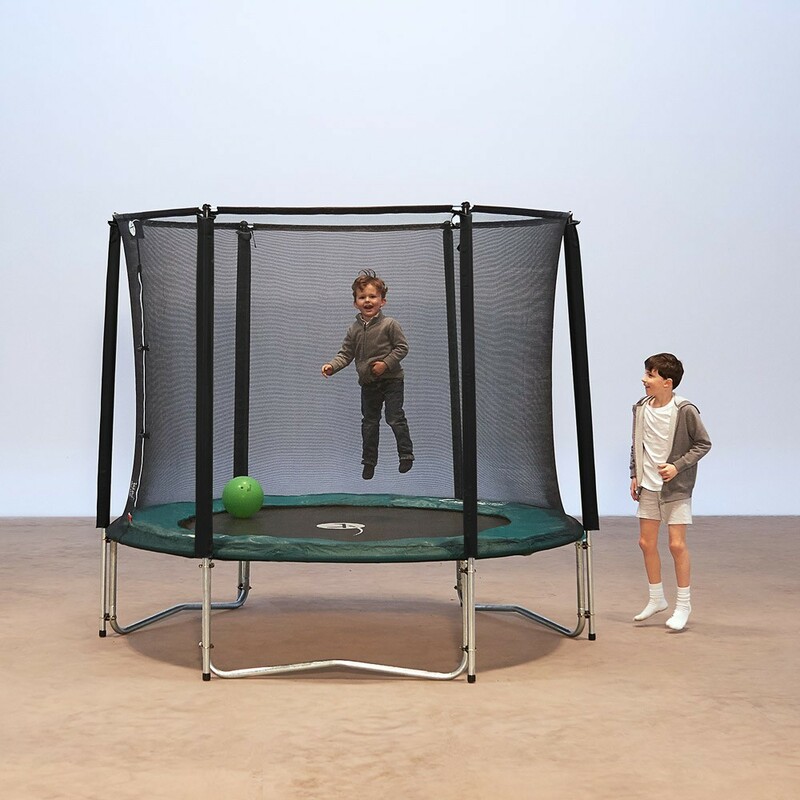 It includes the Jump’Up 300 trampoline, an enclosure, a ladder and an anchor kit. 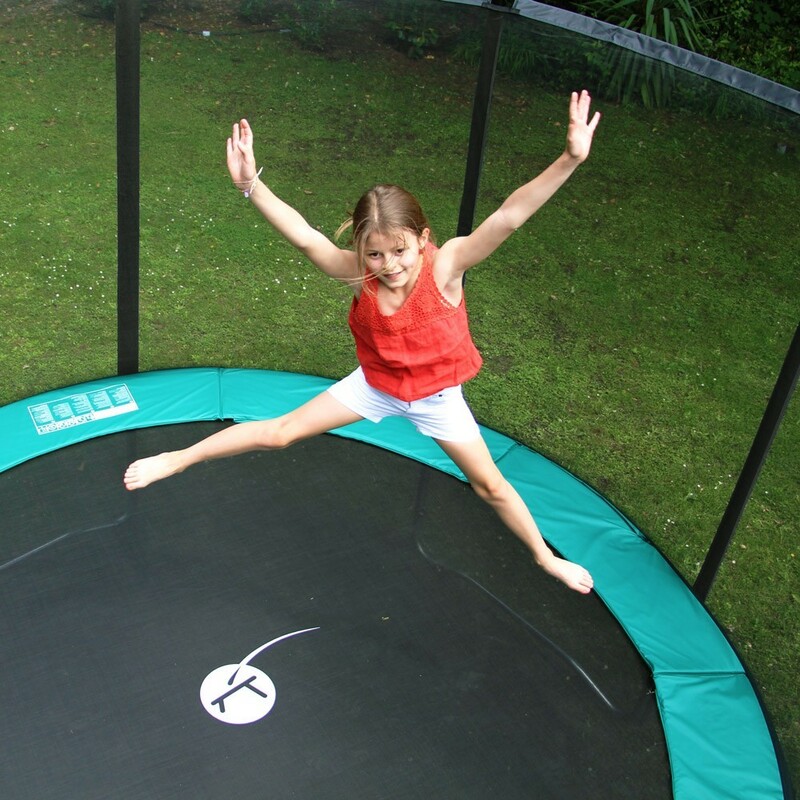 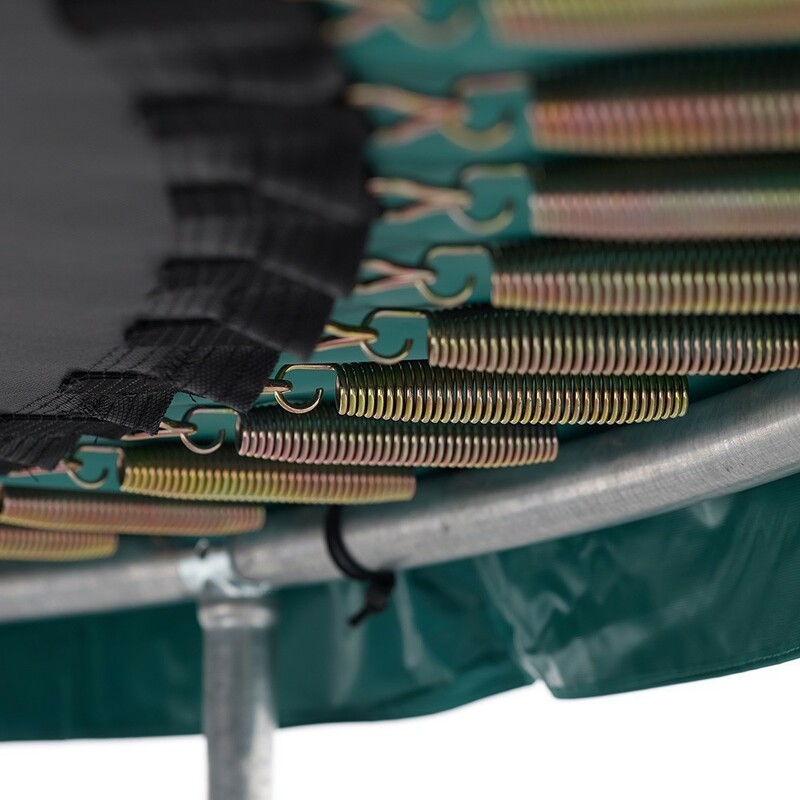 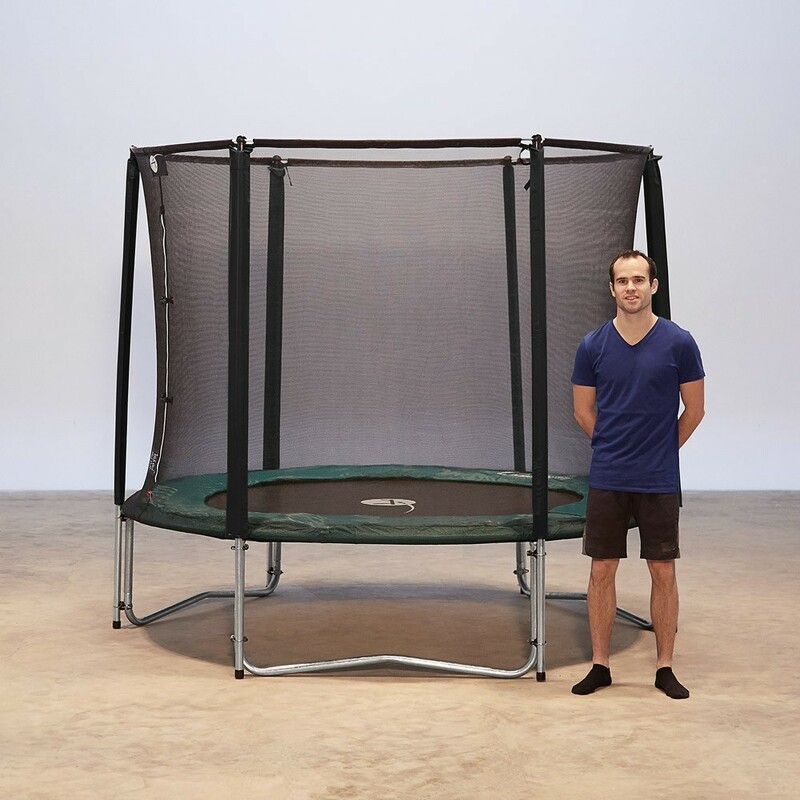 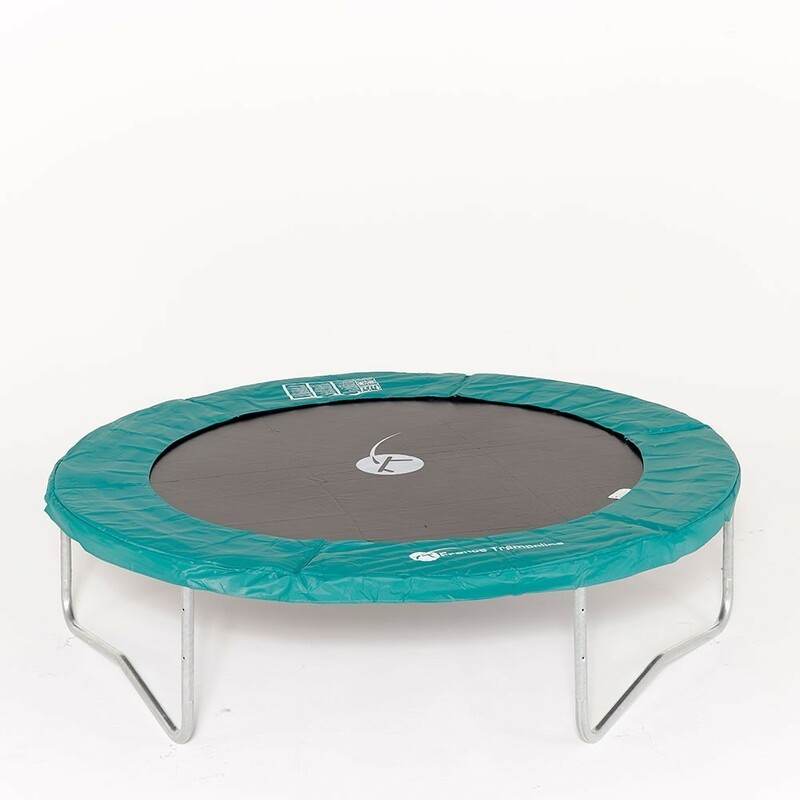 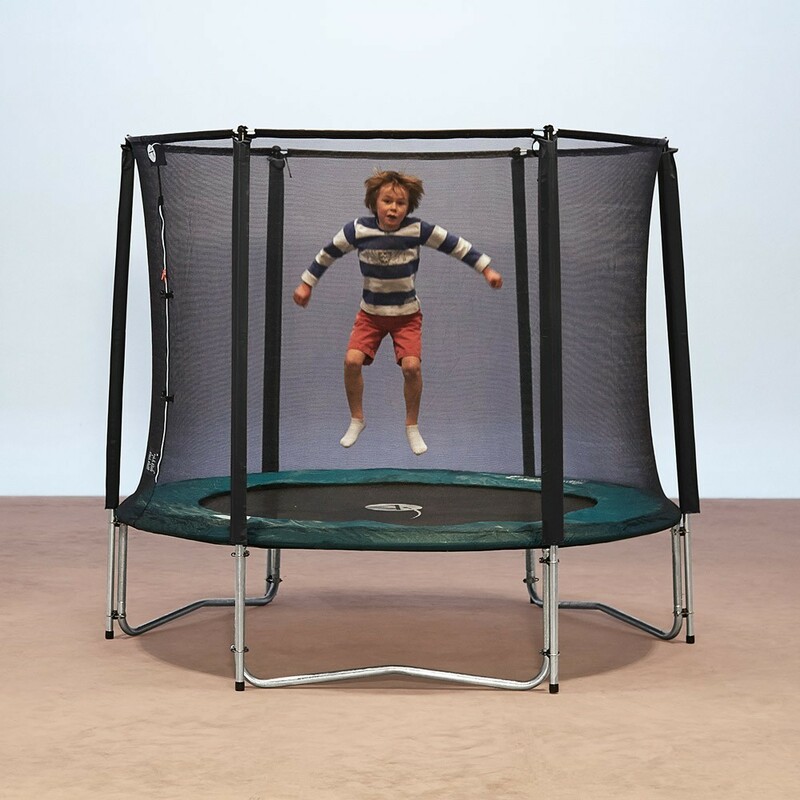 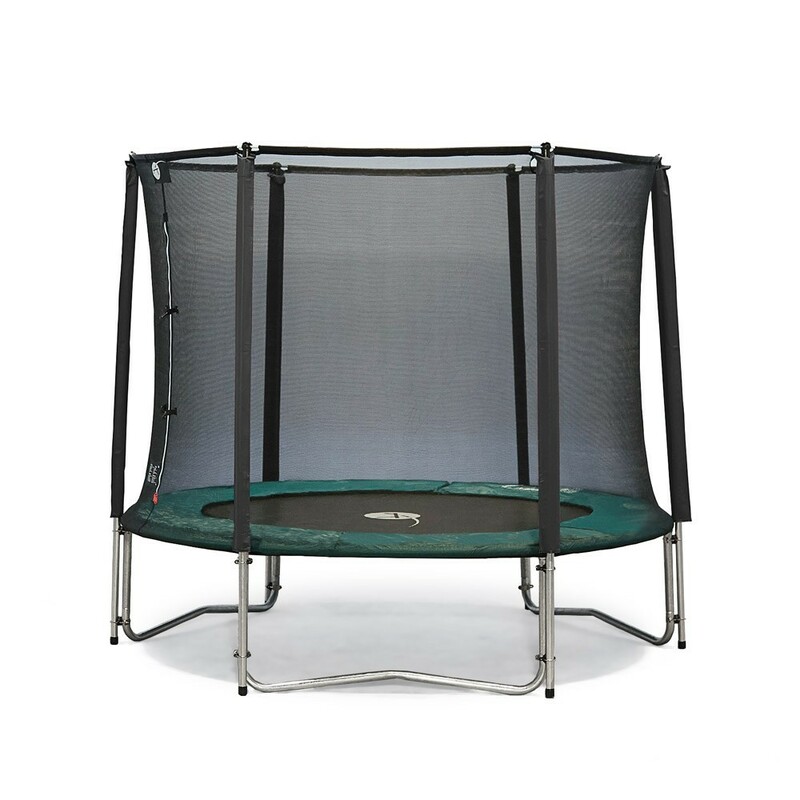 - The round 10ft trampoline has a galvanised steel frame that is held together with T-junction components, avoiding welded parts. 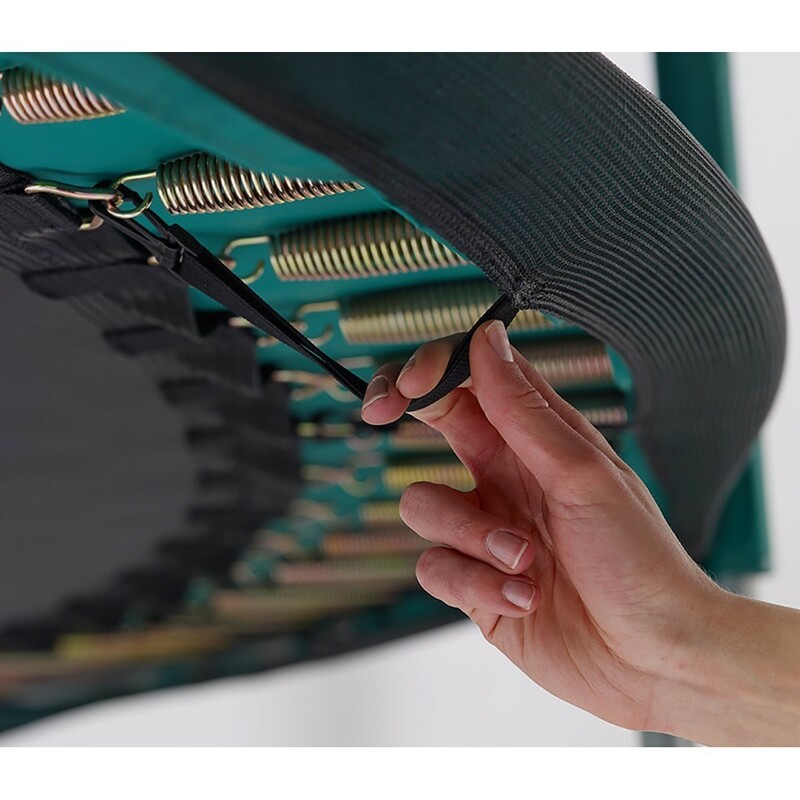 - The black mesh jumping mat is strengthened with 8 rows of stitching and a reinforcement band all around the edge of the mat. 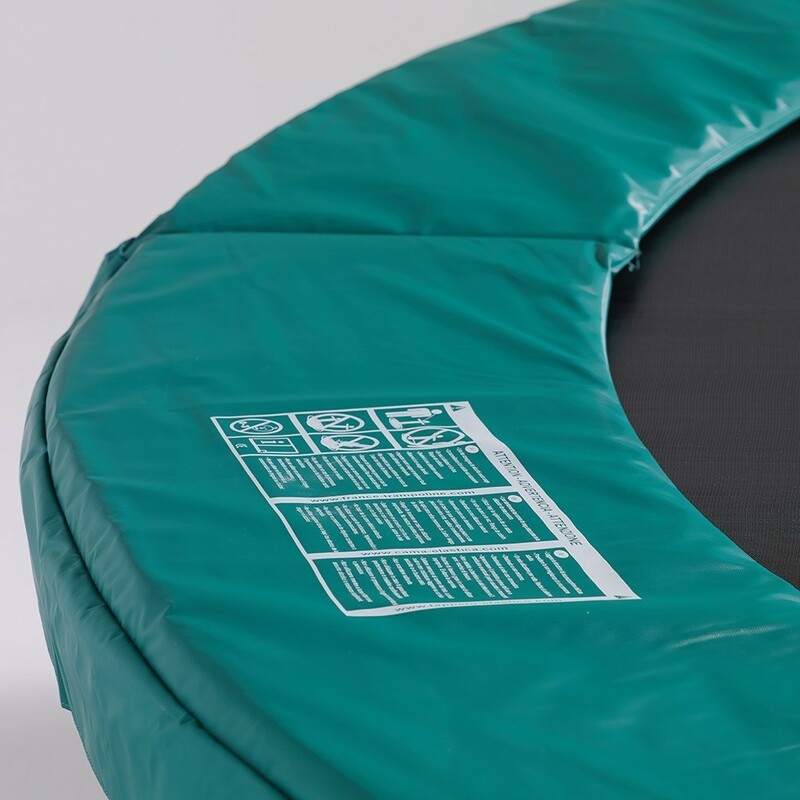 - The mono-block foam frame pad will break any falls. 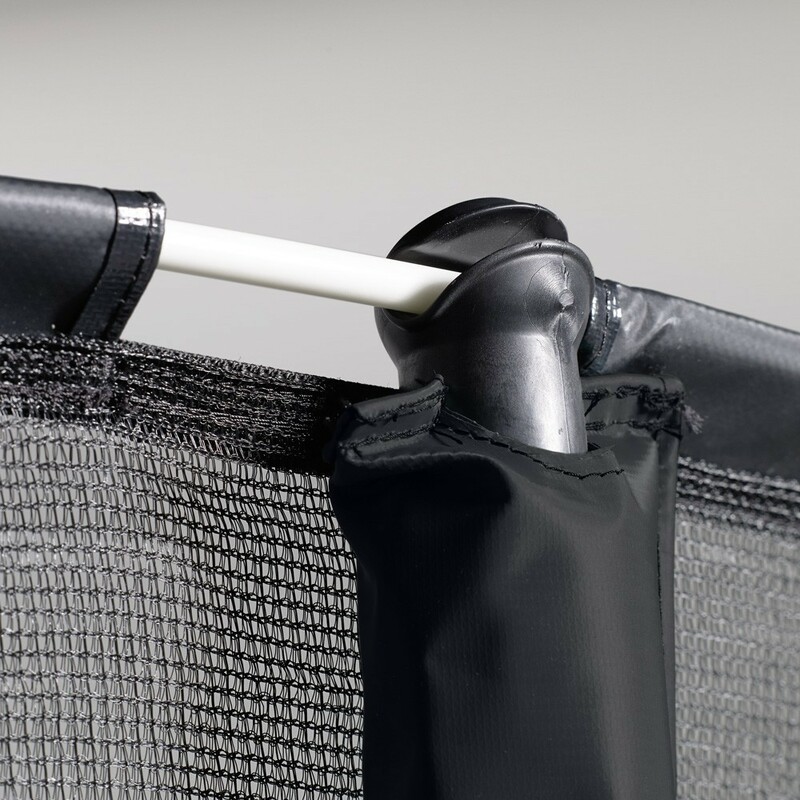 It is covered with technical PVC fabric that is UV-light protected. 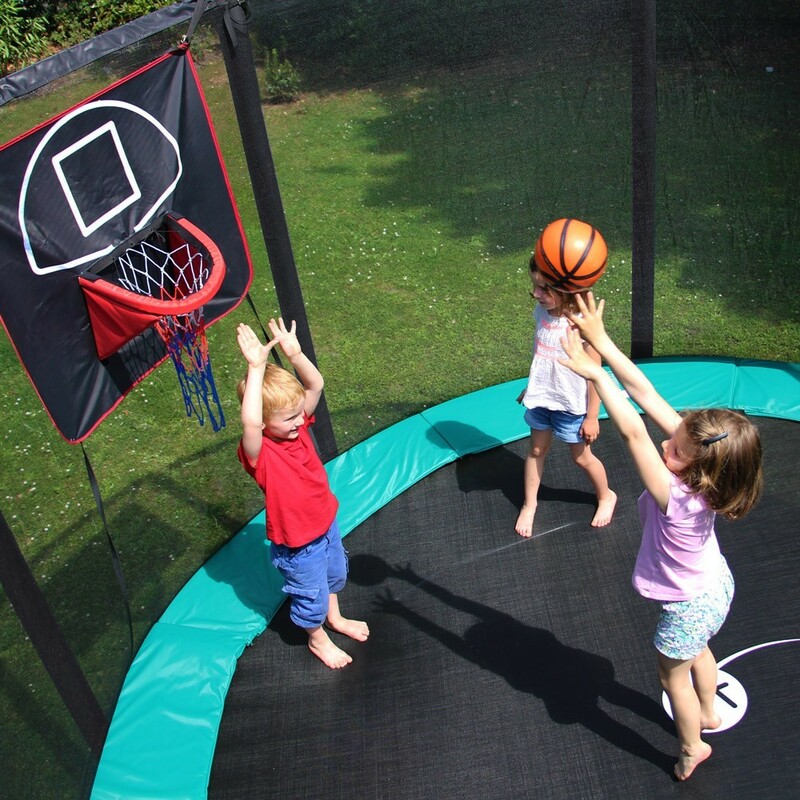 - The safety enclosure has fine netting to stop little fingers from getting caught. 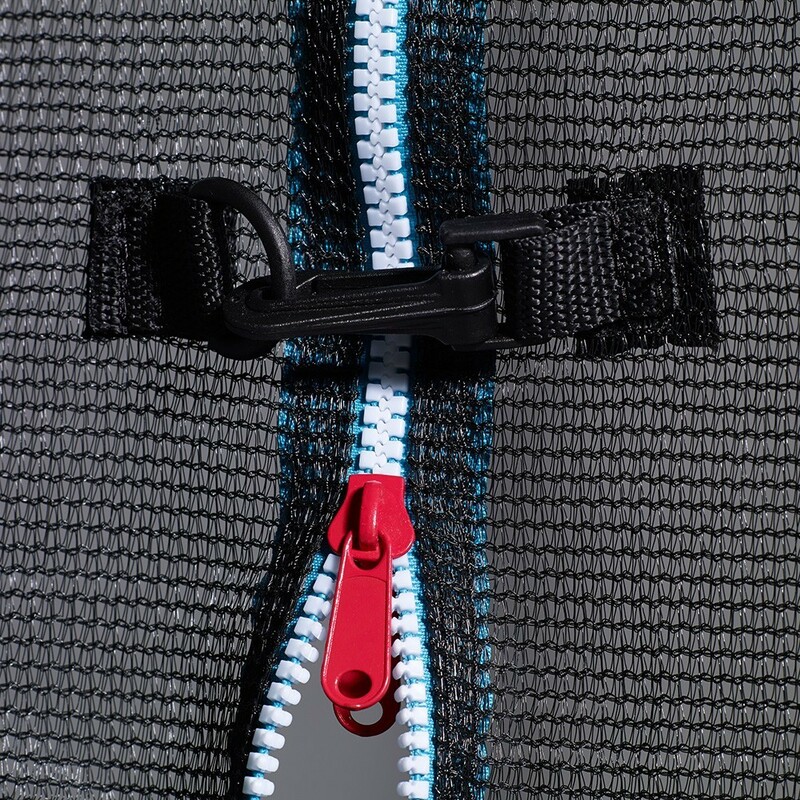 The Door opens thanks to a zip and several hooks for double safety. 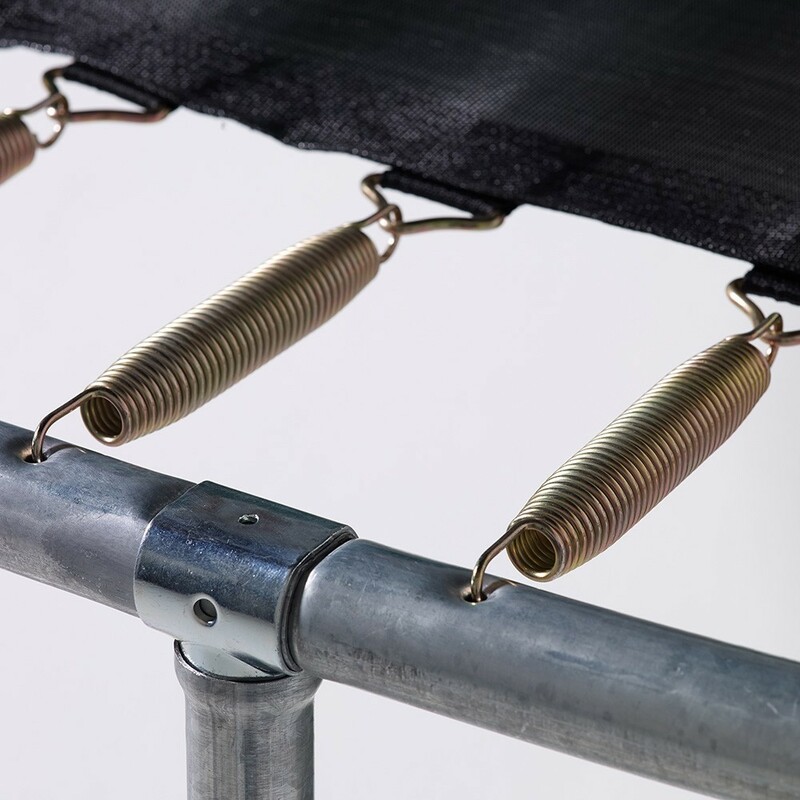 The top of the net is tensioned hanks to fibreglass rods. 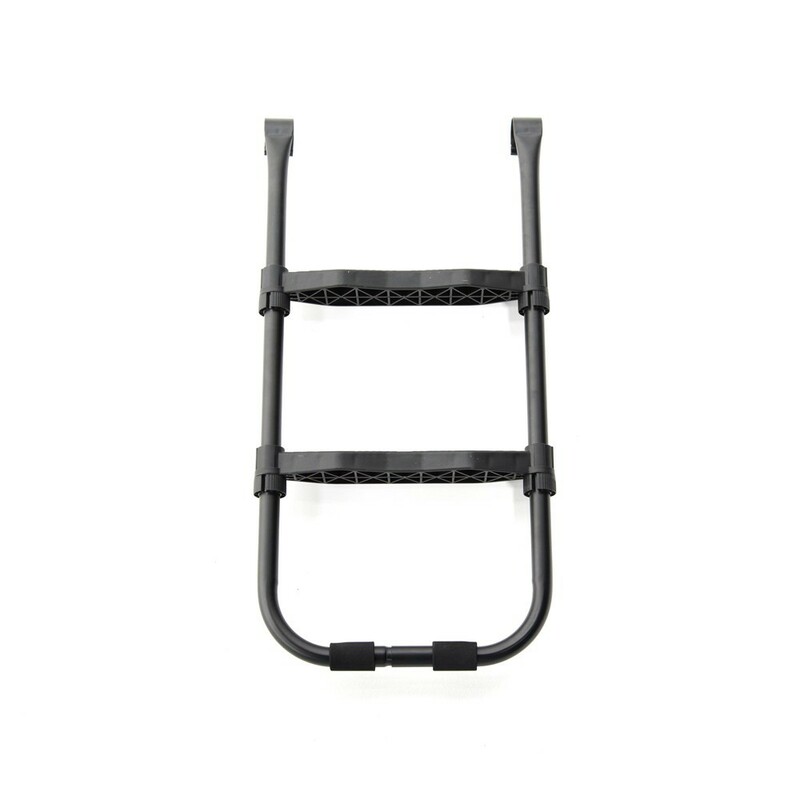 - The access ladder has two anti-slip steps that are 7.5 cm wide. 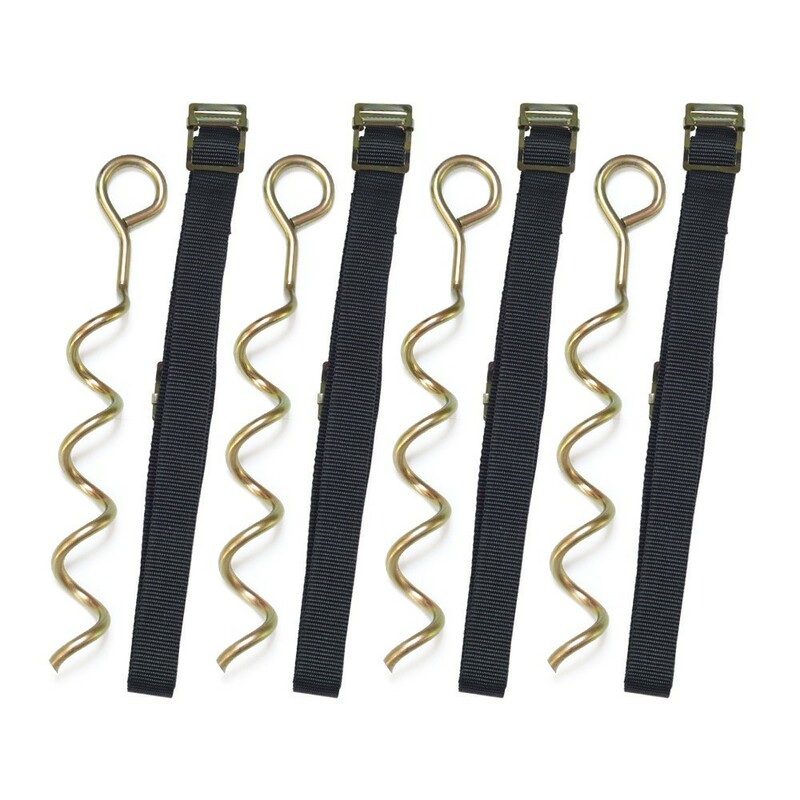 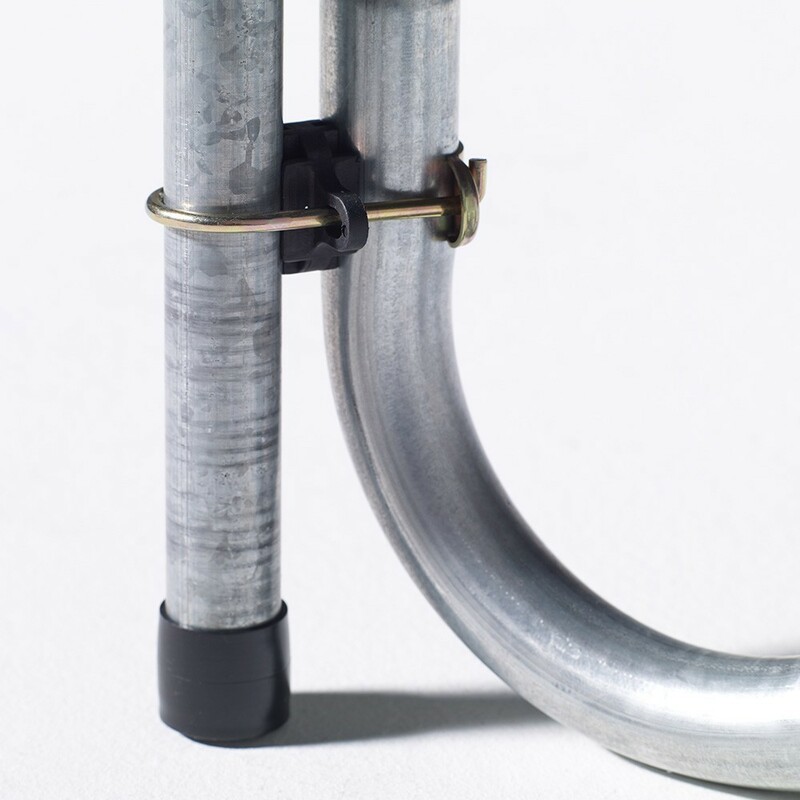 - The anchor kit, necessary for windy regions has 4 winged screws and 4 fabric straps.